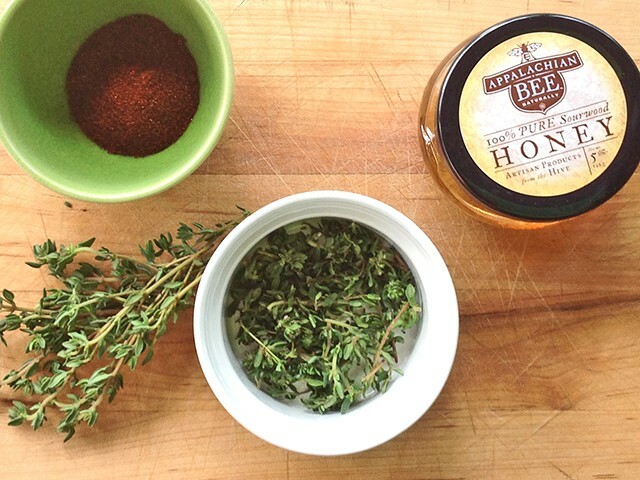 Make the marinade by mixing together the honey, olive oil, chile and thyme leaves. Pour over the pork and ensure the pork is evenly coated. Store in a bowl or large plastic baggie. Place in the fridge and marinade for several hours or over night. Remove from the fridge about half an hour before grilling. 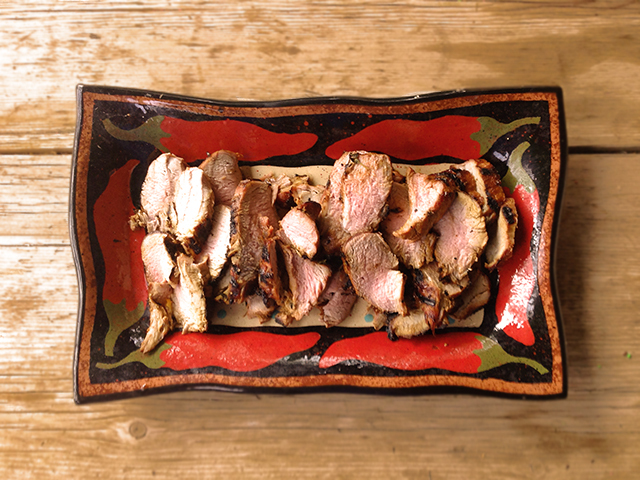 Heat the barbecue and remove the pork from the marinade. Sear the pork on all sides, reduce the heat and barbecue until cooked through. I like my pork pink in middle, about 15 minutes total. If you’re unsure, use a meat thermometer (the USDA recommends 145º). But please, please don’t over cook it! Remove, let rest then slice and serve.